Tales from Pollycraft: 50% off 2 digis or more, and 12 new releases! 50% off 2 digis or more, and 12 new releases! Just a quick post today to let you know about a FAB offer in the shop! Yep!! thats a whole order of 2 digis or more for HALF PRICE!!! even better than that! theres 12 New digis to choose from too! AND... I've been havin a sort out of categories, so 'hopefully' it will be easier to find what you are after! 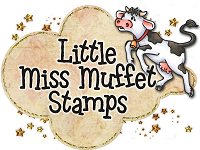 Beautiful new stamps ♥ Have a sweet weekend sweetie! Thanks Paula. Love your image images. Bought Marley and flower and have used him already! Shop looks good by-the-way.